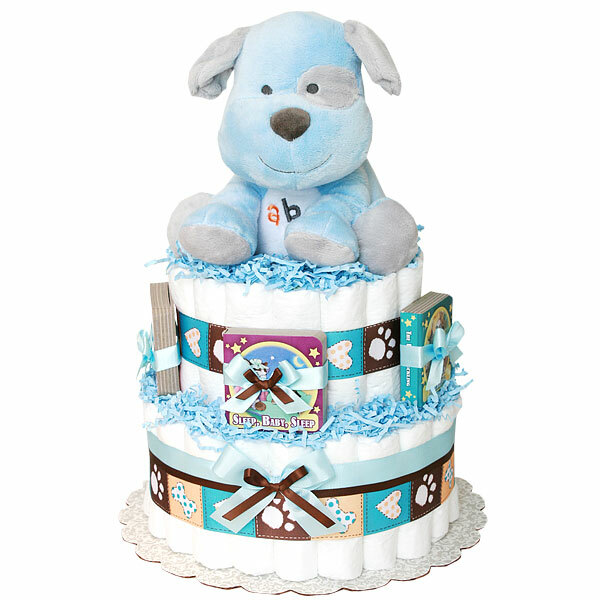 Practical and handmade, great gift for any new mom and her little baby, two tiers ABC Musical Puppy Diaper Cake is made of 45-50 Pampers Swaddlers diapers size 1 (8-14 lbs. ); One Puppy Musical toy, four small baby books (can vary from the picture). Diaper cake is wrapped with a really fun ribbons and bows. Decorated with blue crinkle paper.